So, I'm going to be honest, it's been almost two weeks and I am still not sure how to even put into words how much I enjoyed this book; how much I enjoy David's writing and his stories. But I'm gonna try my hardest. Anyone who knows me knows that I have loved anything and everything I have ever read by Mr. Estes, so why should this book be any different, right? And I will tell you, when I received the email from David that contained the ARC, I did not wait to start it. I literally dropped everything I was doing to start reading it. I was that anxious to get into the thick of it! So, you know what I probably loved most about this book, besides the cover and the fact that David wrote it and he's just amazing, it was the fact that Mr. Estes took a different approach to writing a second book in a trilogy. 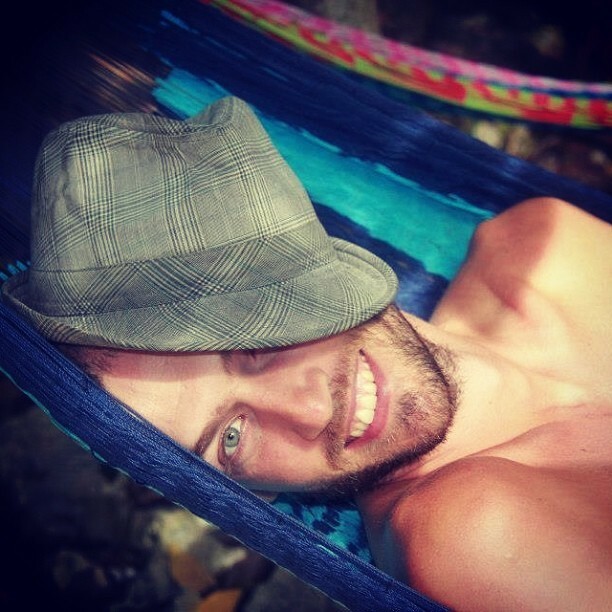 He went off the beaten path and started a whole new story. Now, you might think, UGH, why in the world would he do that? I mean, we ended the last book when Siena and Circ had just gotten their HEA, right? But WAIT! 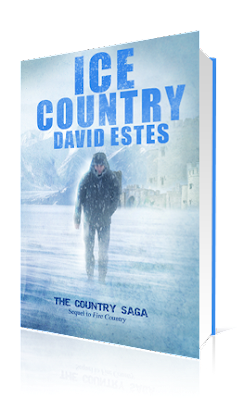 It's well worth it because he starts a new story and then BOOM the world of Fire Country and Ice Country COLLIDE! And they do it in such a perfect way, with such a great reason and plot line, it's impossible not to love this story. So, you want to know what I think of this cover. Well, HELLO, I love this cover. Why do I love this cover, well, besides the fact that the amazing Regina Wamba designed it, it so perfectly puts me right in the mood to be in the middle of Ice Country. The cover immediately makes me feel cold and think about bundling up. And, what do you think it feels like in Ice Country? Think it's cold, well, take a look at the cover and you'll see! Plus it's so simple, the colors, the lone person on the front. It's just perfect. Dazz, well, what can I say. I totally and completely love this character. He's fun and witty. He's tough and loving. Most of all, he's compassionate and fiercely loyal. All such great qualities in a main character; in a main character that you want to end up loving (which I did). His voice is very different from Siena. I actually found that he seemed more educated, perhaps because he is older than Siena when the book starts. He has such a strong will, it's hard not to root for him and his cause throughout the book; to hope that he will get the ending he wants, the one you need. Plus, I just love books told from the male POV. I so rarely see them in YA, although the trend seems to be leaning towards putting more and more of them out there. All the characters in this book are well thought out and relatable. You really see a commitment to family and friends. And the development of each character is so easy to follow as they learn and grow and become more and more aware of the world around them. As with all his dystopian books, David has done some amazing world building here. I love his descriptions of Ice Country. They truly made me feel cold; I'm serious, I was shivering while reading about the winds, the snow, the icicles, and anything else you think about when thinking of a really cold place. I think I needed to go and get my sweater a few times just so I could continue reading! And when the world that he had built in Fire Country collides with Ice Country, well, you can imagine that things are kicked up 100 notches and the action becomes non-stop. Every fight scene, every scene where the characters are running for lives, is vivid, so much so I really felt as if I were right there in the thick of it with them! One of the things that I love most about David's books is his writing. David is so OCD that even his ARCs are pretty much perfect! I am not kidding. I could not really find any mistakes in them, at least none that distracted me from the story. And his descriptions, world building and character development are spot on. I really can't explain enough how much his writing literally pulls you through his books. I didn't want to put this down because I just love reading how his words jump and flow off the page. So, if I was so taken with this book why the 4 stars you say? Well, there is a bit of insta-love, which always kind of bothers me with any book I read. And the fact that the characters so easily evade several events (I won't get into it because I don't want to spoil it) that might put them in a precarious situation without injury just seem uncharacteristic of a dystopian setting. Do characters die, yes, they do. But I just expected more death and destruction, although I'm sure I would have been very unhappy had it happened! And, because I don't do half stars, I could not give this book a perfect score. But, if I were to do half stars, this would definitely be getting the 4.5 rating from me. So, do you want action, adventure, romance, and fun? Then you really need to pick this series up and see what amazingness David brings to the YA genre because I'm pretty sure there is no one I know that would be disappointed with reading his writing. Well played Mr. Estes, well played! Eeeep! Wowwww! Thank you so much Brooke, I'm so glad you enjoyed Ice Country. I'm so honored to be included on your blog! I'm not reading your review simply because haven't read any of these books yet and I want to. If I spot anything to spoil it, I'll sulk, LOL. I have not read any of Estes' books yet, so I am looking forward to it! 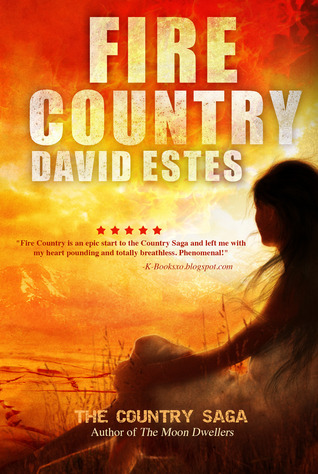 I have a copy of Moon Dwellers on my ereader to read, but I have heard even better things about Fire Country! It would be great to win a copy so I can read more of his stuff, because I've heard it's super good! I haven't read any of his books yet, though.